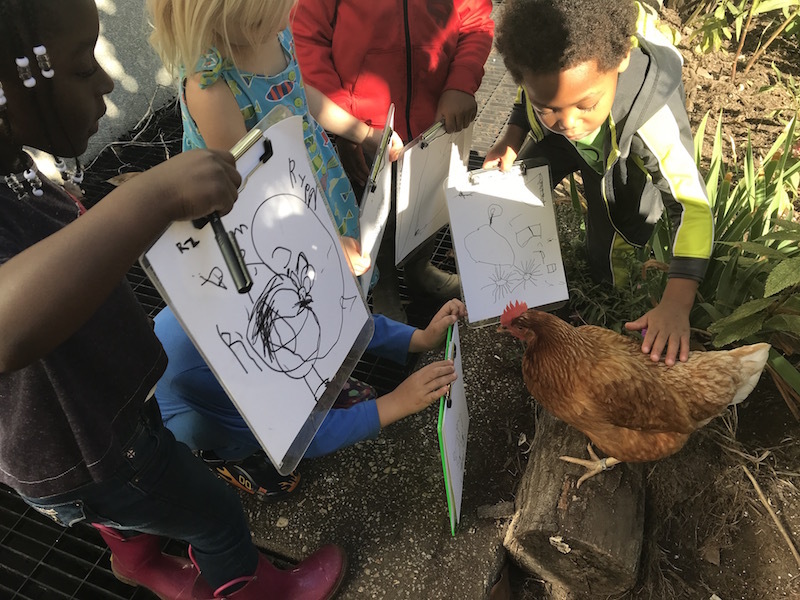 Last school year, with guidance from our Early Childhood studio art teacher, Marla McLean, the Kindergarteners students drew and painted their dream chicken house. Our 5th grade teacher, Mrs. Wertheimer, discussed with her class what would be best for the chickens. The 5th graders also interviewed our Upper Elementary studio art teacher, Erika Bowman, who herself has had chickens. 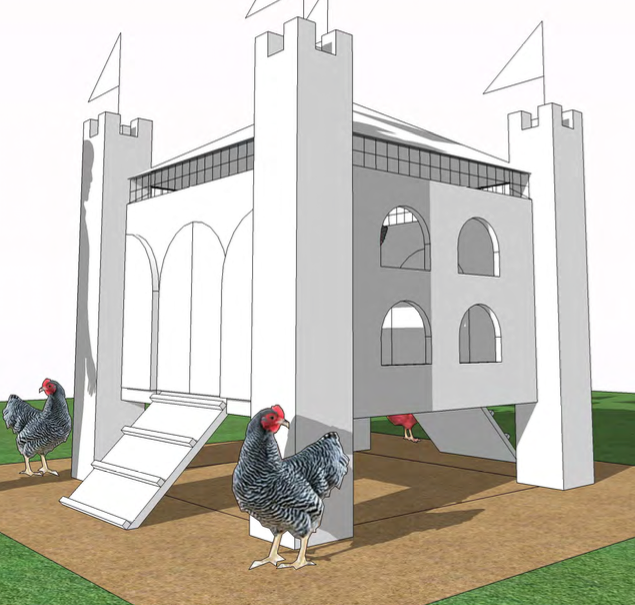 This interview helped clarify what chickens need and don’t need, such as elevators or slides to get around a coop! 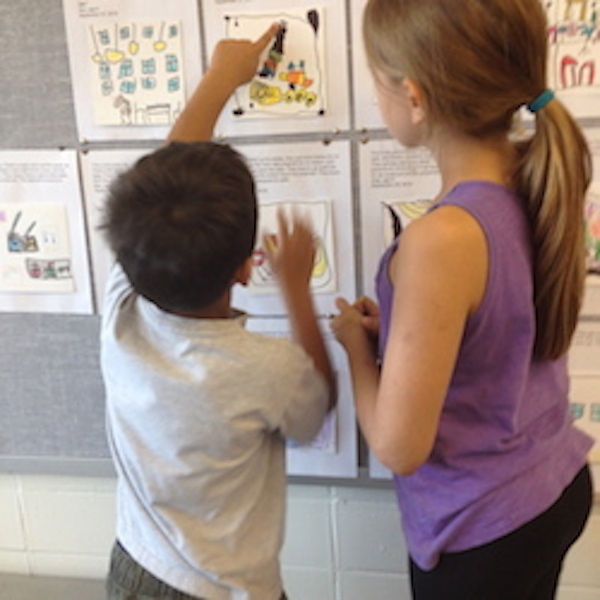 Last spring, the 5th grade took on the next challenge of turning the drawings into an actual plan for the coop. Lucky for us, SWS parent Jimmy Matthews and his company, Greenspur, offered to show the 5th grade how they use software to create architectural drawings. Once the drawings were transformed into an actual plan, Mr. Matthews took on the actual building of the coop. As the pieces of the coop were cut they came to school to be painted. The windows and doors were measured and marked by the 5th graders during their art studio sessions. 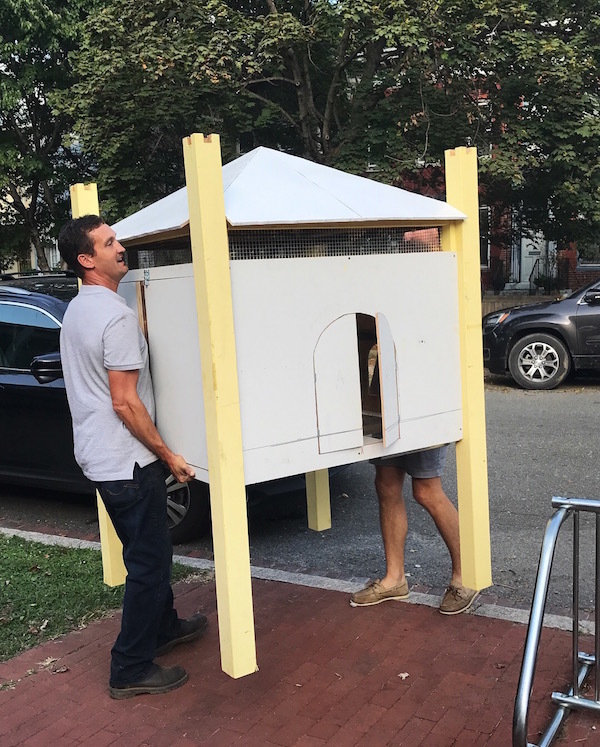 In early September, after we had the chicken fencing is up, a hand washing station in place and lots of boots and shoe covers, the health inspectors came. They gave us the okay to bring the chickens! Was it all worth it? As I see, not only our school’s children — but other children, babies, neighbors and their dogs, people of all ages walking along 10th Street — are so enthralled with the chickens. Will there be chicks too? What is that tag on their leg? Do they like their coop? I see a pattern on their feathers! The best learning starts with questioning. Yes, it was all worth it!